Objective. Medical instruments commonly have poorly designed user interfaces that promote human errors with life-threatening consequences. The primary hypothesis of this study was that a specific user interface could be made safer and more efficient if redesigned using human factors techniques and principles. Methods. The user interface of a commercially available patient-controlled analgesia (PCA) pump, the Abbott Lifecare 4100 PCA Plus II infuser, was evaluated using a cognitive task analysis of bench tests and field observations. Based on this analysis, the user interface was redesigned. Important elements of the new design include a dialog structure with fewer steps, a dialog overview showing the user's location in the programming sequence, better command feedback, easier error recovery, and clearer labels and messages. The changes were evaluated by comparing a computer prototype of the new interface with a computer simulation of the old one. Twelve student nurses performed six programming tasks with each interface. Task completion time, number of errors, and subjective mental workload were collected for each trial. Results. The results showed significantly faster programming times (F(1,11) = 6.85, P < 0.025), lower mental workload ratings (χ2(1) = 4.45, p < 0.025, one-tailed), and fewer errors (χ2(1) = 3.33, p < 0.05, one-tailed) with the new interface. Conclusion. Adopting a human factors approach to redesigning the PCA interface led to significantly faster, easier, and more reliable performance. 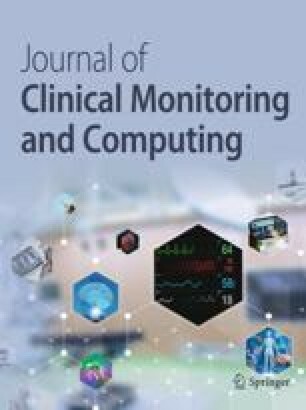 These findings have important implications for improving the design of other computer-based medical equipment.